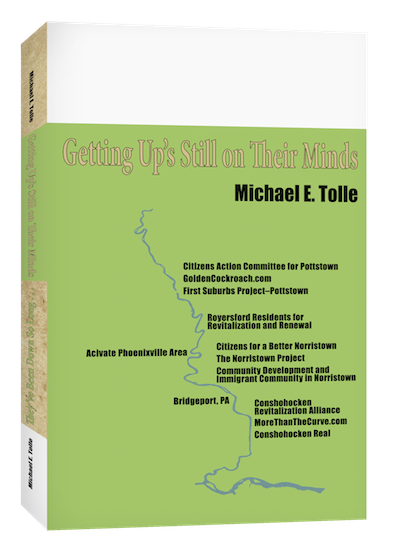 I write and publish regularly on the small town urban condition, using the towns of Pennsylvania’s lower Schuylkill River as my examples. Thus my primary topic is urban life; what it was like back then and how that evolved into what it is like now. You already know that I never lived in any of the towns about which I write, and some of you are bothered by this. Well, here are some further confessions. In giving the present a context from the past, I often find myself writing about—or at least mentioning—ethnicity. 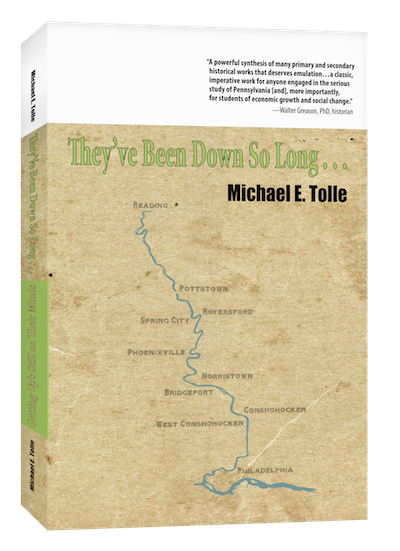 The history of the towns on the lower Schuylkill River is an often-repeated sequence of the arrival of different ethnicities, the discrimination they had to endure and their eventual assimilation, and it’s still going on. The fact is, however, that I am an outsider, to both urban life and ethnic heritage. This is by no means an apology; I believe my personal history has aided me immensely in the study of both subjects. Not only have I never lived in any of the towns about which I write, my understanding of both urban life and ethnicity comes overwhelmingly from research and observation. I am neither urban born nor urban reared. I was brought home from a hospital in a medium-sized Kansas town to one of those prefab and trailer residences that grew up around our universities after World War II, courtesy of the G.I. Bill. Upon receiving his degree, my father moved us out of Kansas, an act for which I shall forever be grateful. After a few years in Michigan, it was on to New York. Not the city, although my father was a professor at Brooklyn College. He determined to move us to that new way of living, the automobile suburbs, on Long Island, even farther out than Levittown. For many years this required him to commute daily on the Long Island Railroad, about which little more needs to be said, at least by me. Yes, I grew up in the environment I have come to despise, and I am relatively certain that this enhances my occasional comments on suburbia. In the late 1950s, a Long Island developer had purchased some farmland, torn out the trees and removed the topsoil, then subdivided it into ¾ acre lots. On this he mass-produced three types of houses, but mostly two-story Colonials (my neighborhood was part of a second phase development that followed the Levittown of one-story Cape Cods on ½ acre lots). My family bought one of them. Where I grew up there were no corner stores, no churches, no recreation facilities, not even any trees. Just houses, very much alike, one after another along gently-curving streets. If you wanted to do anything more than visit someone else in the same development, you needed a car. Do I even need to mention that not a single person of color inhabited a house in that development? Mind you, it wasn’t the fault of the development; the entire school district had exactly one black family, that of a school administrator, and I don’t remember any South or East Asians. For me, “diversity” meant having Jewish friends, and some of my WASP friends looked askance at me for that. Which brings me to the subject of ethnicity, or “people who are different from us.” Not only am I a WASP, I descend from the very core of waspishness, England. My direct ancestor first arrived on these shores (Maryland, actually), in 1663. He appears to have come over as an indentured servant. That was, briefly, contractual slavery for a set number of years; an effective recruitment tool for the down-and-out who could not afford to leave but would not be missed. This fact accounts for why inducements to discover my ancient family crest have never moved me. What interests me most, however, is the subject of ethnicity itself. I have met a great many people who use ethnicity to describe themselves. This is foreign to me. “My people” originated in England. Is English even an ethnicity? Does anybody refer to himself as an “English-American”? “Englishness” is tied to religion just as much as being Irish or Italian, but that religion is Episcopal (the Americanized Anglican Church), and that makes it quite a different thing. A religion of convenience rarely becomes the cornerstone of one’s life. It certainly didn’t for me. Even if I am an “English-American,” don’t you think that after some three and a half centuries resident in the United States (and no record of wives possessing any strikingly different last names), ethnicity might no longer be a personal issue with me? My heritage might explain my love of English folk music (Fairport Convention’s Liege and Lief is perhaps my favorite album), but then again, I have never had the desire to learn Morris Dancing. As for food, well, the less said about English food traditions the better. So what do ethnic baggage do I carry courtesy of my ancestors? None that I have ever been able to discern. I’m not a hyphenated American, just an American; a mongrel, a mutt (although not widely cross-bred). At times I despair that only at some indefinite future date, when everyone’s ethnicity has been stored away in some dusty memory hole, will we find true community in being an American. I believe that these two circumstances of my upbringing have enabled me to take a fuller measure of the history of life along the river, because none of it was implanted in me by childhood experiences. Writing history—as opposed to memoirs, biographies, etc.—requires distance from the subject, both of intellect and emotion. It is in that sphere that I write, not just of eight towns on the lower Schuylkill River, but of urban life and ethnicity in general. I’m going to publish my second example of this next month. It focuses on urban life, and ethnicity is woven into the text. I’d like you to read it, of course, but I would also like to hear from you afterward, about my approach and what you think of the results. I look forward to them all. They asked for a year. A year has passed. It’s time to check in and ask questions. "The joint press conference was totally a media event...that provides a clue as to how we should receive it. As with the pilot episode of any show that we find promising, we should exercise “temporary suspension of disbelief.” The first-rate cast stuck tightly to the script and delivered their lines with the necessary panache, producing an uplifting message, as intended. Even ye who are without sin should not stone this cast; first let them actually act, and judge the result by how it plays out before your eyes. Will the show deliver on the promise of its pilot? You really need to stay tuned for this one." I did cheat a little, writing about this perception versus reality thing in December of last year. I did so because Pottstown had climbed on the “things are better than everyone thinks” bandwagon, complaining that people who spoke and wrote of Pottstown’s problems really didn’t understand the situation. But this is probably a bad time to voice that opinion, given that Pottstown last month saw some 30 people arrested for their involvement in a gang war. 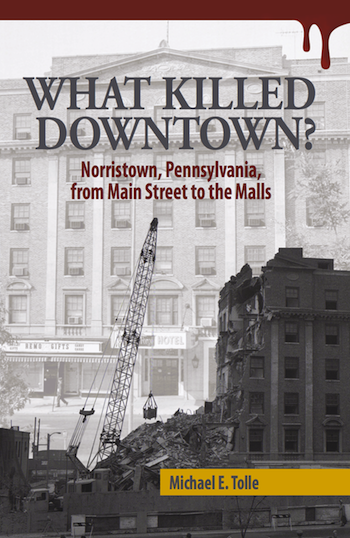 But let’s use this one-year anniversary to discuss Norristown. It has spent the last year tending to the public’s perception about safety, and thus about the police department itself. Talk about good timing. For those of you that may have been in a coma for the last few months, they have not been good ones for police-community relations across our nation. The general public has discovered that their perception of how things were in places as far apart as Ferguson and Baltimore (not to mention that of their respective police departments) did not match the reality on the streets. I’d like to think that the convergence of tragic events that we have been witnessing in the media will lead at least a few more people to conclude that the manner in which local law enforcement conducts itself needs to change, whether it is a large city or a small town. So how does a small town like Norristown fit in? More than you might think; urban police work is—or should be—undertaken pretty much the same way regardless of the size of the urban area. Just how does a police department earn the trust of its citizens? By enforcing the law fairly, equally and with consideration for people as human beings, of course. It’s easy to say, but not so easy to do. A recent article in the Pottstown Mercury added to the evidence that Norristown may actually be onto something. If so, then the reason may be Police Chief Mark Talbot. But it isn’t just about the police. Like all law enforcement officials, Talbot knows that citizen involvement is crucial to establishing peace on the streets. “You can’t shut people out of the conversation. If they feel like you’re not listening to them, they will find another way to be heard, whether in a letter to the editor, or they will use social media,” said Talbot. “We would rather they come to us first….If you talk to people in the neighborhood and tell them what's going on, they will talk to you and tell you what they know." Talbot has been impressing this approach on his department since he took over the post two years ago. Is it working? Official statistics say that crime in Norristown has dropped by 20% over the last two years. Talbot, in his interview with the Mercury claimed that “people are telling us they feel safer now in Norristown than they have in a long time.” That’s certainly a good start, but remember I focus not on the reality or the perception as much as the gap between them. Do you feel safer now, in your home and on the streets, than you did a year ago? Is lowered crime in Norristown a reality? Statistics say so. What is your perception, and why? Does anyone see this as a result of the “Norristown Quality of Life Policing Task Force” (it was to involve more than one agency), or could there be a simpler, more personal reason? Let me know what you think. Either way, could you communicate that to Pottstown?